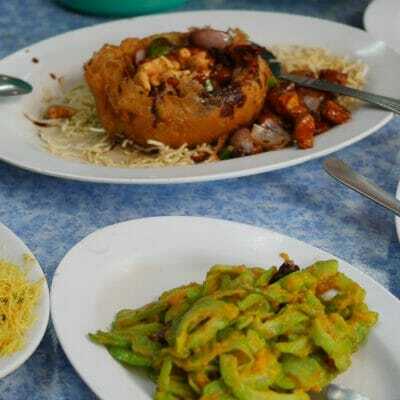 I frequently travel around Peninsular Malaysia in search of good food, but I’ve never visited Sabah or Sarawak until last month when I went to Tawau. Admittedly, it is a town that wasn’t in my food radar but after going around the area, I’m certain this won’t be my last visit. As I’m not familiar with the place, my brother’s in-laws who took us for lunch at this restaurant that serves tomyam noodles with seafood. 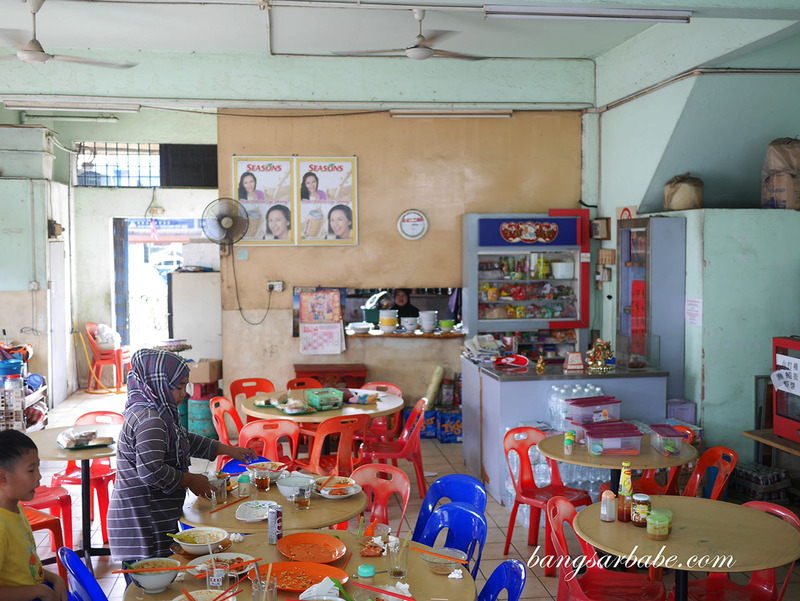 Apparently, this is a spot the locals frequent when they have visitors in town – to let them enjoy the freshest seafood Tawau can offer. 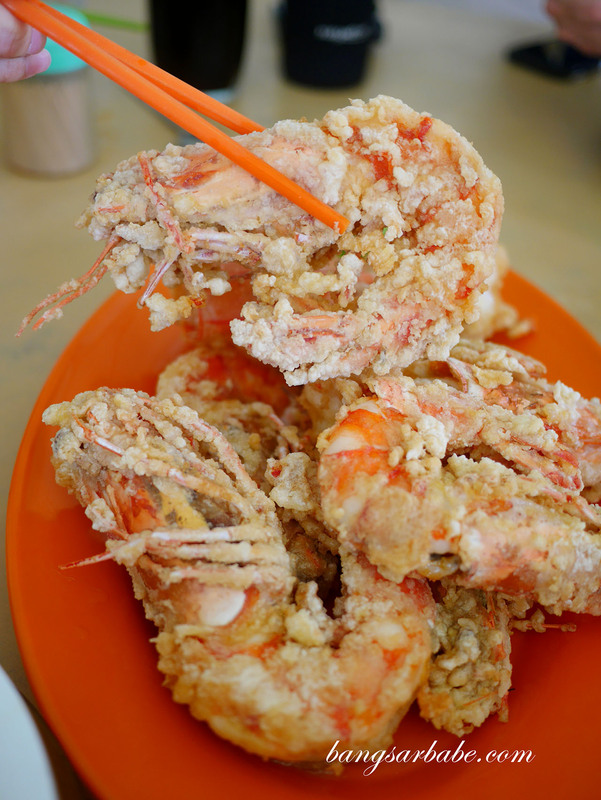 The prawns are battered and lightly fried (similar to tempura). 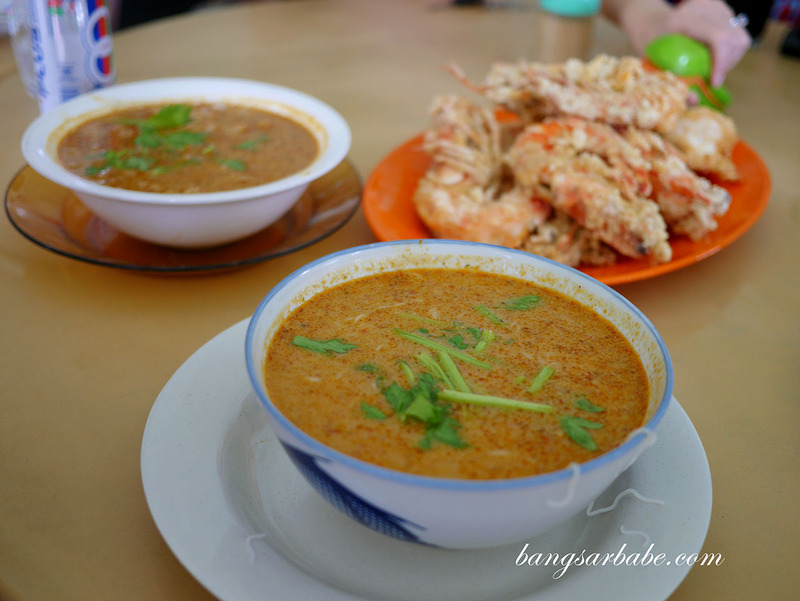 You can also opt to have it cooked with tom yam but you won’t get to taste the sweetness and richness of the roe. If I’m not mistaken, each prawn costs about RM15 and is as large or even larger than the palm. The one I ate was larger than my face. 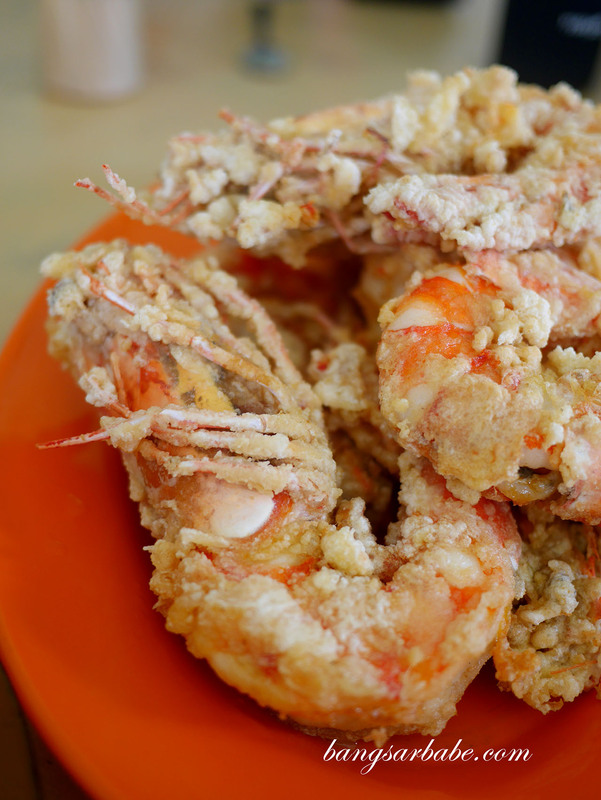 Beneath the crisp batter, the prawns were sweet and crunchy – this is only possible if it’s extremely fresh. Mine had plenty of roe, which was rich in flavour and incredibly addictive. Because it’s so large, one prawn per person is sufficient. Of course, you can be greedy and opt for more. It’s best to get there early as they run out of prawns by 1pm or so. 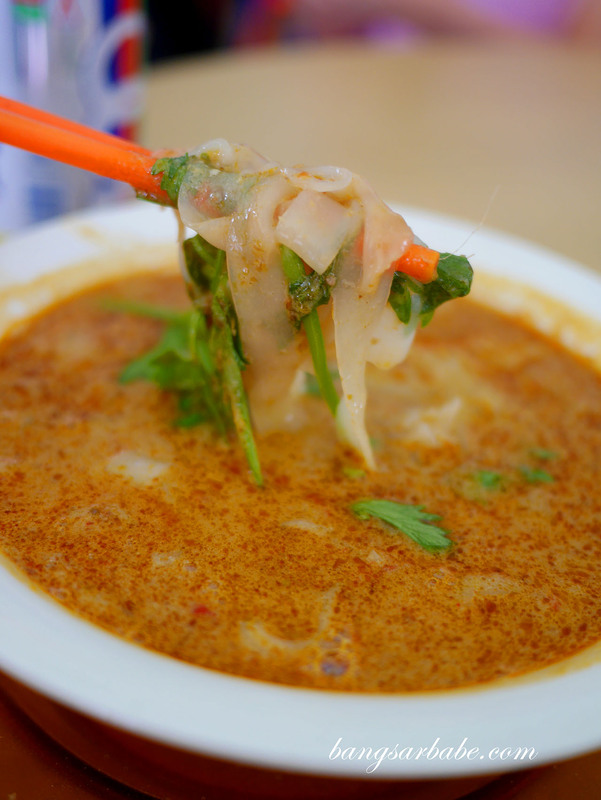 The tomyam noodles (choice of vermicelli or kuay teow) isn’t the typical tomyam noodles. This wasn’t as sour nor was it as spicy as the Thai version. 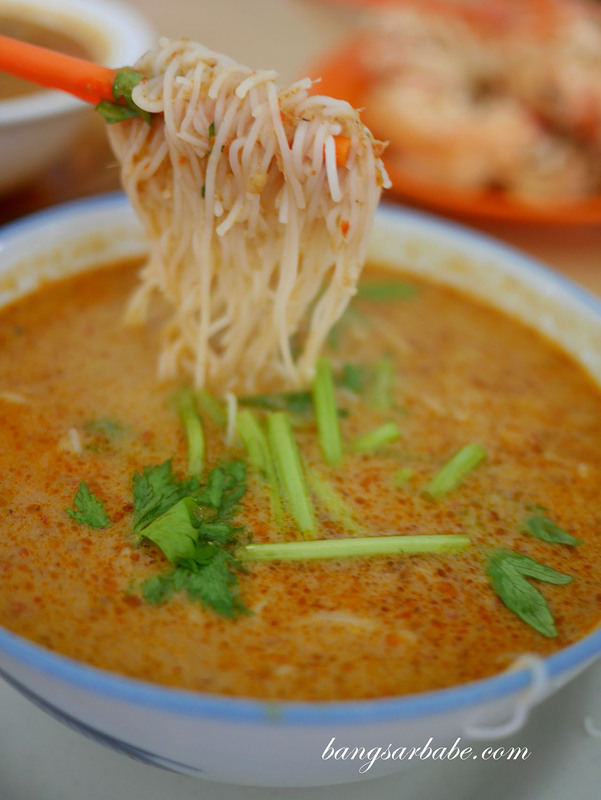 Instead, it was more towards the creamy side with spices similar to Sarawak laksa. Pretty good though. 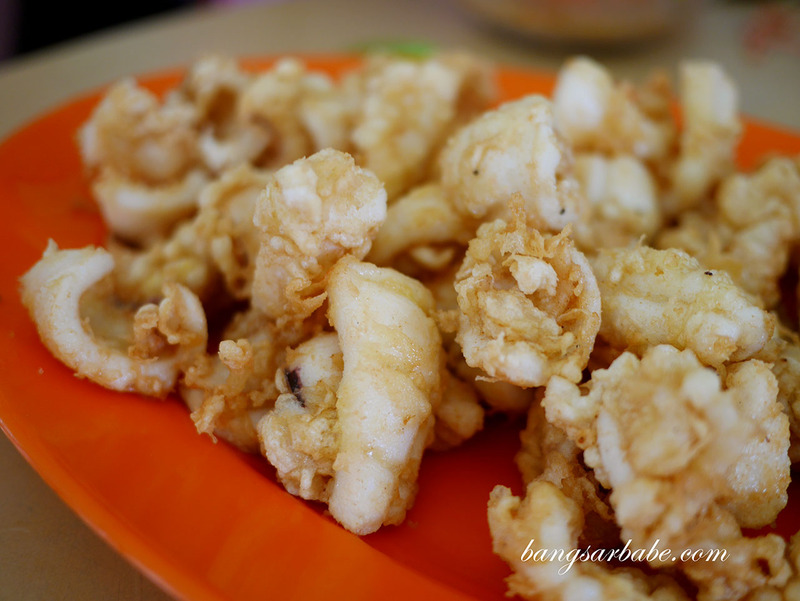 We also had some batter fried squid which was moreish and delicious when dipped into chilli sauce. 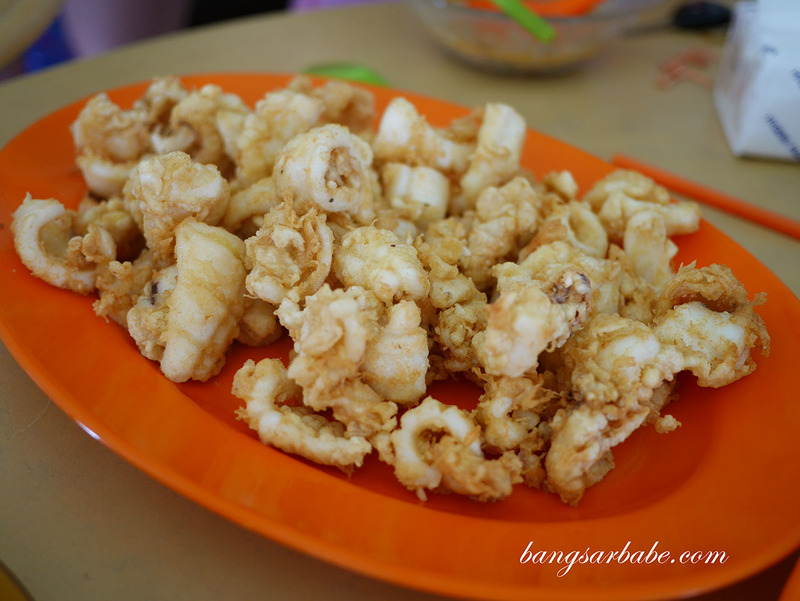 As the squid was fresh and lightly cooked, the flesh was tender and lightly creamy. 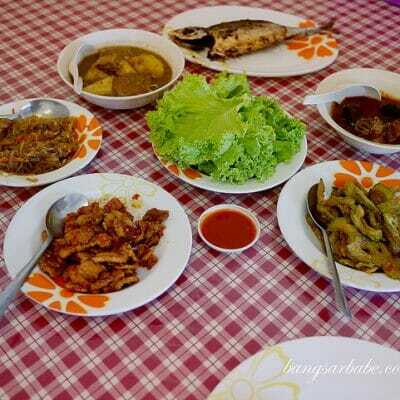 Don’t expect high level cooking styles here as the seafood is served as they are or lightly fried. 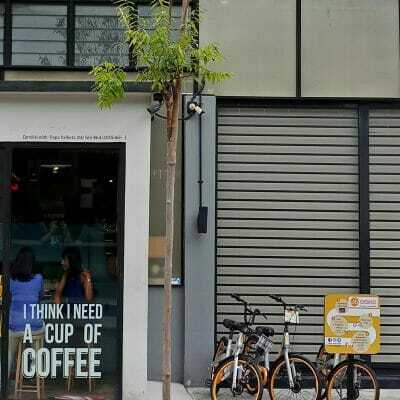 If I’m not mistaken, the bill came to up about RM300 for 10 of us. That’s really reasonable considering the size of the prawns and squid. Whether it is the best tomyam noodles in Tawau or not, I’ve yet to find out. Verdict: The prawns and squid were very fresh. 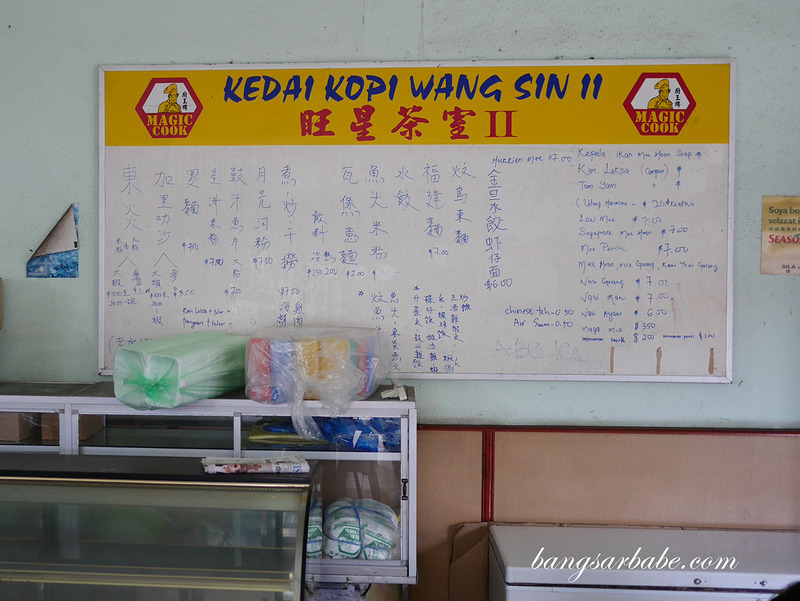 Worth checking out if you know your way around Tawau.